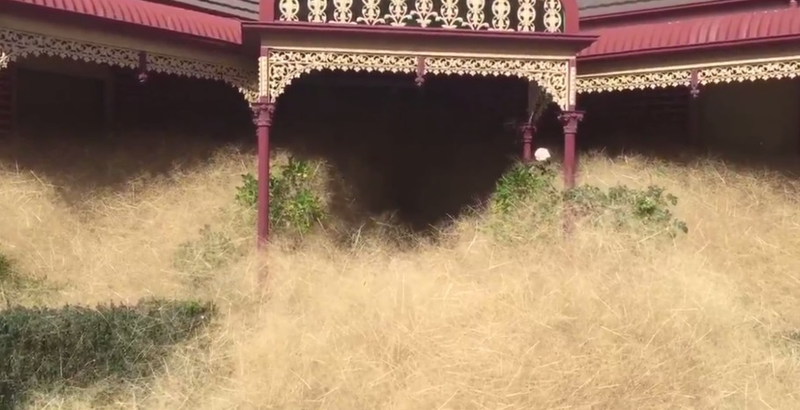 Wangaratta in Victoria, Australia has been taken over by tumbleweed, with doors and windows getting clogged up. The tumbleweed is moving into houses with doors, windows and gardens getting clogged up creating a big mess just like a flood mess up everything on its way. Locals have to spend hours to clean up this weed. This thing has been there for couple of years but this year, it has gone worse due to dry conditions. The weed is coming from a local farm in the area which is left unmaintained by the owner. Local council refused to help the house owners clean up the weed as it does not cause any direct risk of fire. Watch the video of this strange weed phenomenon causing ‘hairy panic’ among home owners.